Coldwater, Comanche County seat, sits astraddle of Highways 160 and 183 in the center of the county, inviting folks to "Come to Play or Stay." Unique to this "eating-out town" of almost 1,000 people are ten sit-down dining places for the enjoyment of residents and visitors alike. Coldwater is also host to the Comanche County Museum with artifacts and displays depicting life here in the days of old. Centered in what is primarily wheat and cattle country, the Coldwater area has historically seen wheat and cattle as important sources of income. The Comanche Pool, one of the largest cattle outfits in the state, originated near Coldwater in 1878 and included the surrounding counties. It operated until settlers moved into the area and fences were built. Oil and gas exploration boomed here more recently. Indian raids have long been over; the last one in Kansas did, however, take place just east of Coldwater, in 1878. A Stan Herd mural painted in 1986 introduces visitors to the Comanche County Historical Museum. The museum showcases people, events, memorabilia and artifacts from earlier times. 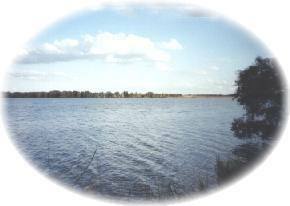 Lake Coldwater is the only city, county, or state lake in southwest Kansas that permits water-related sports. It is a 250 acre man-made lake in a 930 acre park within the Coldwater City limits. The Coldwater area is heavily populated with deer. Some of the biggest deer bagged in the state have been taken near Coldwater. In addition to deer, many sportsmen also come here every year to try their hands hunting quail, pheasant, wild turkey, and dove.